This article was first published in Esprit de Corps, volume 26, issue 1. 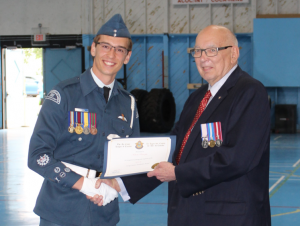 Mr. Max Goldack, Past President of the Air Cadet League of Canada, presents the YCF Scholarship to WO2 Pasieczka. During his time with the Air Cadet Program, Air Cadet Nicholas Pasieczka, a University of Manitoba engineering student, has been awarded over $13,600 for his achievements. This is one of the largest amounts of post-secondary financial assistance awarded to an individual in the program’s seventy-seven-year history. 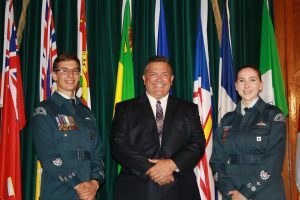 The awards were the Young Citizens Foundation Scholarship, the Lieutenant- General G. Alan MacKenzie Bursary, the Hubbell Award – Janice and Barry Rempel Honorary Colonel’s Air Cadet Scholarship Award, and the Rockwell Collins Continuation Flying Training Award. Other scholarships included the International Air Cadet Exchange to France, the Power Pilot Scholarship and the Glider Pilot Scholarship. 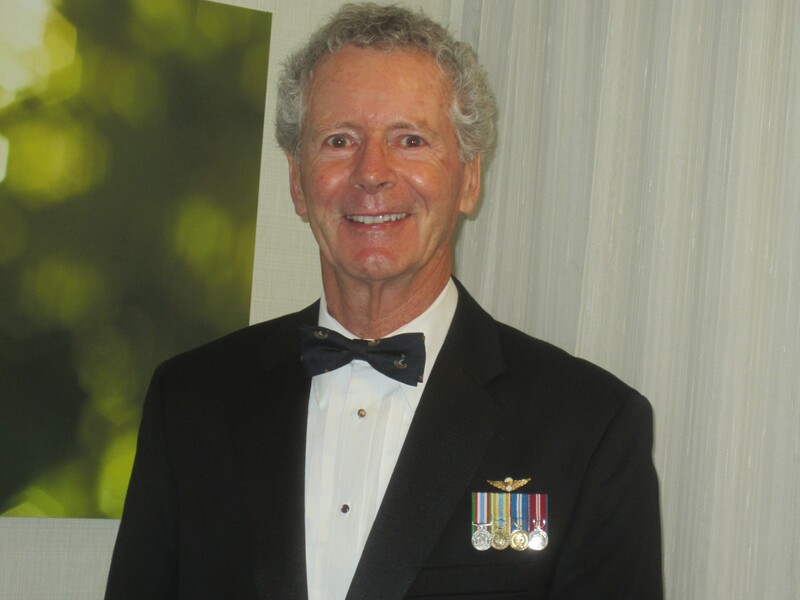 He has also received the Lord Strathcona Award, the Air Force Association Award, the Legion Medal of Excellence and the Dodo Bird Award in addition of achieving the Gold level of the Duke of Edinburgh’s Award and being appointed an Award Leader. During his time as an Air Cadet with 191 West Winnipeg Rotary Royal Canadian Air Cadet Squadron, he participated in the Provincial Biathlon Competition, winning two Bronze medals and was the top biathlete in 2015 and 2017. In 2016, he was the Top Manitoba Glider Cadet and the Top Northwest Glider Cadet. He has competed in the Provincial Effective Speaking Competition, placing first in 2015 and 2017 and second in 2016. He is a leader and instructor at his Air Cadet Squadron, helping to train and inspire young Cadets. Apart from his involvement with the Air Cadet Program, he was the editor in chief of his school newspaper, a member of the student council and a Ukrainian Dance Instructor. He enjoys participating in biathlon, boxing, badminton, cross-country, track and field, soccer, ping-pong and running marathons and half marathons. He is a Lifeguard and Aquatic Instructor with a National Life Guard Certification and has completed his Water Safety and Life Saving Instructor courses. 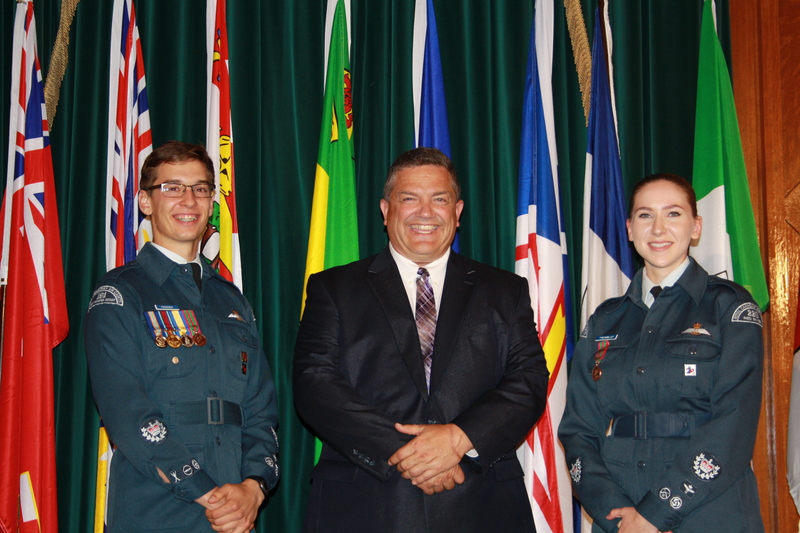 WO2 Nicholas Pasieczka, Lt Myles Drynan and WO2 Sayge Tremblay, masters of ceremonies for the 2017 National Effective Speaking Competition in Winnipeg, Manitoba. 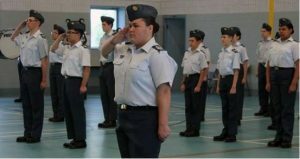 Every year, the Air Cadet League of Canada offers tens of thousands of dollars in national awards and scholarships to Air Cadets across the country. In 2018, the League awarded more than $20,000 in scholarships and more than $60,000 in Continuation Flying Training Awards, Pilot Training Achievement Awards, and other awards. The purpose of the Continuation Flying Training Awards offered by our many partners is to provide cadets who have successfully completed the Power Pilot Scholarship Course the opportunity to continue to accumulate pilot-in command flight time while the Pilot Training Achievement Awards are presented to deserving Cadets for use in continuing their flying or gliding training and increasing their experience. The Air Cadet League of Canada also offers eight post-secondary education scholarships to Air Cadets. They are the Young Citizen Foundation Scholarship, the Birchall Scholarship, the Dale Scholarship, the Alex Venables Scholarship in Engineering, the Jazz Aviation Pathway Award for Professionalism, the Jazz Aviation Pathway Award for Professionalism and Diversity, and two Air Cadet League of Canada Foundation Scholarships. All these awards and scholarships would not be possible though without the support and generosity of many individuals and organizations. If you would like to make a donation to establish a scholarship or to create an award, please contact the League by visiting aircadetleague.com. Do you know a teen who has what it takes to leave ordinary behind? This summer, NAV Canada is bringing back its Explore Aviation Summer Camp. For 24 young women and 24 young men entering Grade 10, this will be a unique opportunity to get insider access to learn how aviation works in Canada. This one week camp located in Cornwall, ON, will feature hands-on learning to explore the exciting careers of the aviation industry. The application deadline is March 8, 2019. For more information, please visit NAV Canada’s website. The recipients of the 2018 PTAA, CFTA and Music Awards were announced at the Air Cadet League’s 77th Semi-Annual Meeting during the President’s Recognition Breakfast back in November. Congratulations to all the winners! In 2018, the Air Cadet League of Canada awarded more than $20,000 in post-secondary scholarships to deserving Air Cadets across the country. This year, we are proud to offer eight post-secondary education scholarship awards to Royal Canadian Air Cadets. They are the Young Citizen Foundation Scholarship, the Birchall Scholarship, the Dale Scholarship, the Alex Venables Scholarship in Engineering, the Jazz Aviation Pathway Award for Professionalism, the Jazz Aviation Pathway Award for Professionalism and Diversity, and, new this year, two Air Cadet League of Canada Foundation Scholarships. Get a head start on the competition, start working today on your application! You have until April 1st to complete the ACC64 form. An application example is also available to help you fill the form. 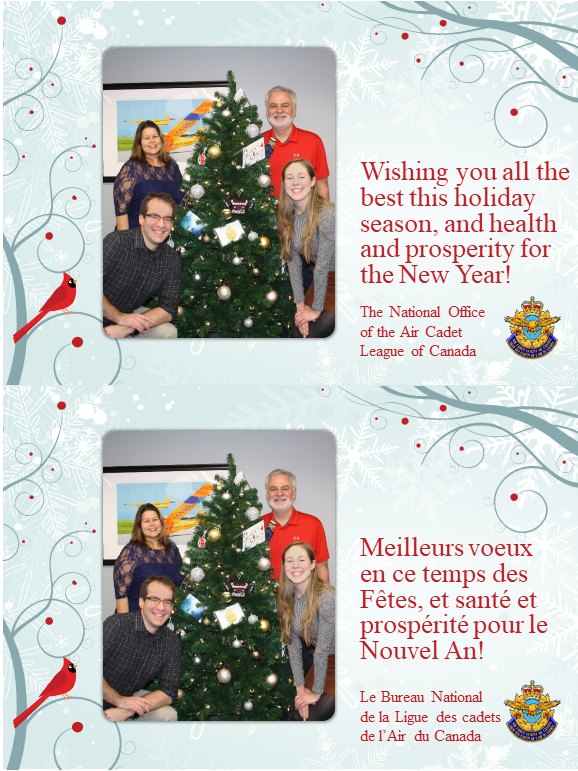 On behalf of everyone at the Air Cadet League of Canada, we would like to wish everyone a happy holiday season. Our thoughts turn to all of you who are constantly working hard to advanced the Air Cadet program and in this holiday season spirit, we would like to thank you and wish you a great holiday season and a happy new year. May you all enjoy the holiday break and a healthy and successful year 2019! Please note that the National Office will close on December 21, 2018 and reopen January 2, 2019. Having difficulty finding the perfect gift for your loved ones? Spent hours browsing the Web without finding a gift idea? Search no more! 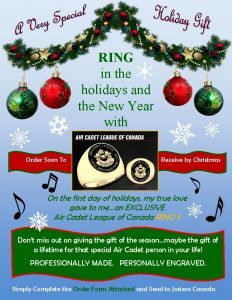 The Air Cadet League of Canada has what you need for the Holidays! 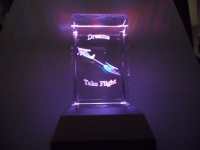 We have ties, golf shirts, T-shirts, 3D crystals and decorative plates. We also have great stocking fillers such as key chains and lanyards. To find even more wonderful items, visit our online store at https://www.joedrouin.com/cat.php?l=en&nbCatID=42 . 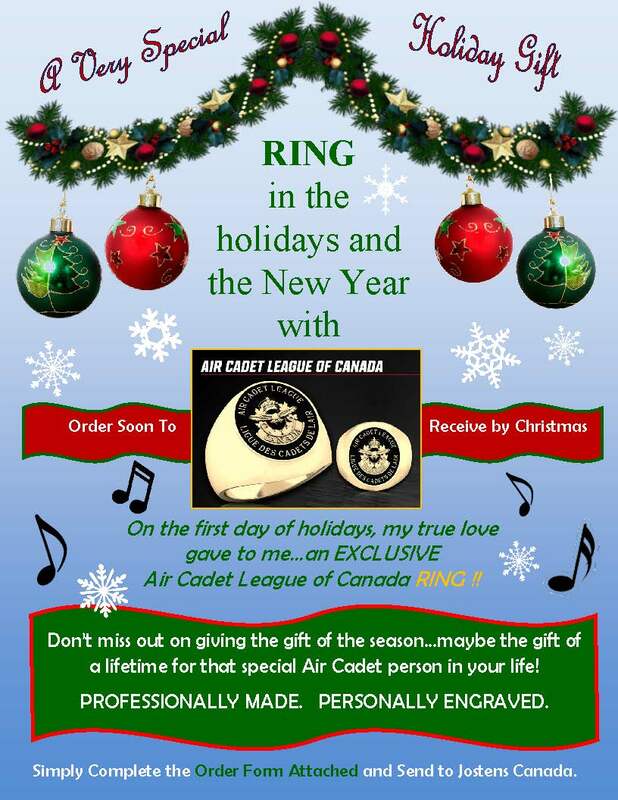 It’s Cyber Monday at the Air Cadet League, and for this occasion, we are happy to announce the launch of the official Air Cadet League of Canada ring. 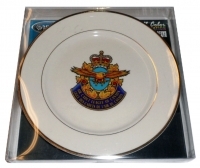 Just in time for the Holidays, this exclusive item will be the perfect gift for that special Air Cadet person in your life. Ring in the New Year with the ACL! Order NOW to receive it by Christmas. Marie witnessed firsthand how the program instilled the kind of skills and values that help young people grow into solid adults. “You learn how to listen to others and how to work together as a team. One night could be band practice, another could involve a sports activity. You learn about our military history and are introduced to a variety of career choices. 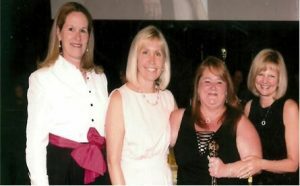 You improve your self-confidence, physical fitness and communication skills.” Because of what the experience did for her children, Marie spent several years volunteering on the parent committee, a couple of those years as chairperson. *This story was originally published by the Royal Bank of Canada and is reproduced with permission.